Options abound when choosing a camera for skiing and snowboarding, from action cameras that can be mounted on your helmet to pocketable point-and-shoots and professional-grade mirrorless models. Popular action cams like the GoPro Hero4 Black offer the best video performance and impressive weatherproof housing but lag behind in still photography, while traditional digital cameras offer essentially an inverse skill set. We’ve included a healthy selection of both in our list of the best cameras for skiing and snowboarding for the 2016 season. Weight: 5.4 oz. with housing. What we like: Tons of video options including 4K. What we don’t: Short battery life. The GoPro Hero4 Black 4K currently is head and shoulders above the rest of the action camera competition. Most impressive is the sheer variety of video options, including 4K, 2.7K, 1.4K, and 1080p, among others, with speeds ranging from 30 fps up to a whopping 240 fps (this gives ski and snowboard videographers a tremendous amount of options). In addition, GoPro has the best software on the market and you get ample mounts and bundles to choose from. For those who plan on shooting point-of-view from the slopes this season, this is by far your best bet. What are the shortcomings of the Hero4 Black? Battery life is relatively short at around 2 hours at 1080p, and the stills at 12 megapixels are inferior to any other camera on this list (you do get a blazing 30 frames per second for action photography). But perhaps the biggest hurdle for people is price—$500 is at the top end of the action camera spectrum. 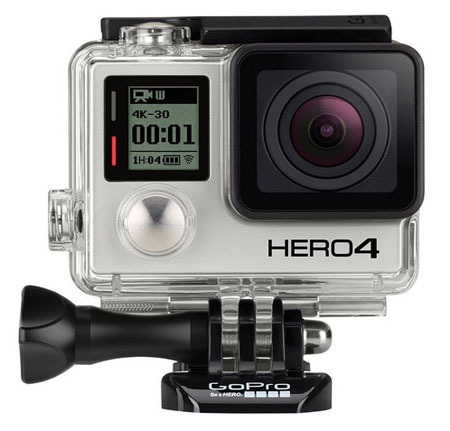 For recreational videographers and those who don’t need 4K, check out the GoPro Hero4 Silver. The image sensors on the Silver and Black are identical but you lose some video resolution and speed options with the cheaper version: the Silver only shoots 4K at 15 and 12.5 fps—not handy for fast-moving snow sports—and you don’t get 120 fps at 1080p. However, a very nice addition on the Silver is touchscreen functionality on the rear LCD, which is not available on the Black. What we like: 4K video and excellent still photos. What we don’t: Very pricey for a point-and-shoot. Stepping away from action cameras and into the realm of traditional digital cameras, the Sony RX100 IV is a high-end point-and-shoot that does it all. For shooting skiing and snowboarding footage, the RX100 IV in the first in Sony’s popular series to feature 4K video. And at 1080p, you can shoot up to 1,000 frames per second for incredible slow motion. More, you get a large image sensor, fast Carl Zeiss zoom lens, pop-up electronic viewfinder, and high resolution LCD screen. 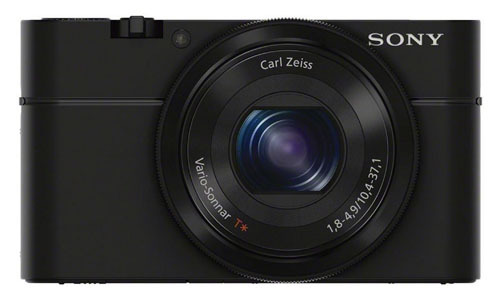 All this makes the RX100 IV the top compact camera on the market. You won’t be able to get as good of point-of-view video as the GoPros above, but the video quality is excellent and the stills will blow any action camera out of the water. Weight: 12.2 oz. for camera body. What we like: DSLR-like image quality in a compact form factor. What we don’t: The kit lens is mediocre. For those who want similar image quality as a DSLR but without the bulk, the Sony a6000 is our favorite mid-range mirrorless camera and a great value. At just 12.2 ounces for the camera body, you get a 24.3-megapixel APS-C image sensor—the same size as many Canon and Nikon DSLRs. 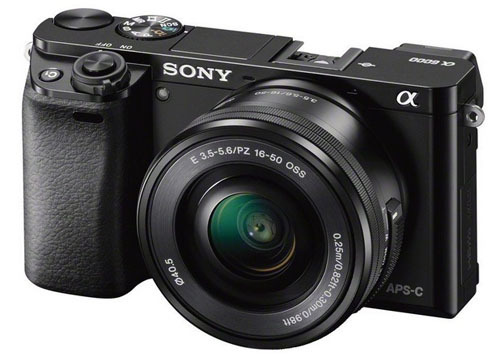 The a6000 also shoots quality 1080p video, fast stills at up to 11 frames per second, and has built-in Wi-Fi and NFS. This is a feature-packed camera that is great for outdoor use. There are a couple of important considerations when going mirrorless. First, these cameras aren’t truly pocketable like a point-and-shoot—they have a much lower profile than a DSLR but still require a small camera bag. Second, you get all the pros and cons of interchangeable lenses. The 16-50mm kit lens is serviceable but you may soon want to supplement, and with more lenses comes more cost. This isn’t a deal breaker, but keep in the mind that the $650 price tag may grow. Weight: 22.1 oz. for camera body. What we like: Pro-level photos and videos. What we don’t: The steep price tag. It’s true: the Sony a7R II could easily hold the top sport on this list. However, the hefty price makes it unaffordable for most outside of professionals and serious enthusiasts, which is why we have it here. The Sony a7R II is a photographers and videographers dream: a massive full-frame image sensor packed into a compact and weather resistant body. The a7R II shoots 4K video and has a whopping 42.4-megapixel image sensor for still photos, by far the highest resolution on this list. And Sony really tightened up some of the shortcomings of the first version, including improved low light performance and a reinforced lens mount for heavy glass. 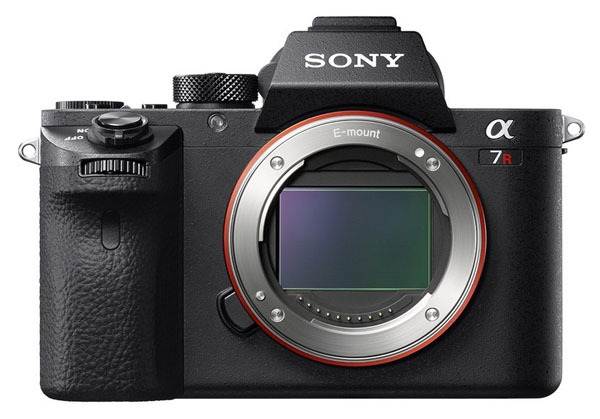 Keep in mind that at over 22 ounces for the camera body, the A7R II is less portable than other smaller mirrorless cameras and will require a serious bag. Weight: 14.4 oz. for camera body. What we like: Weather sealing, unlike the Sony a6000. What we don’t: Shorter battery life than other Olympus cameras. 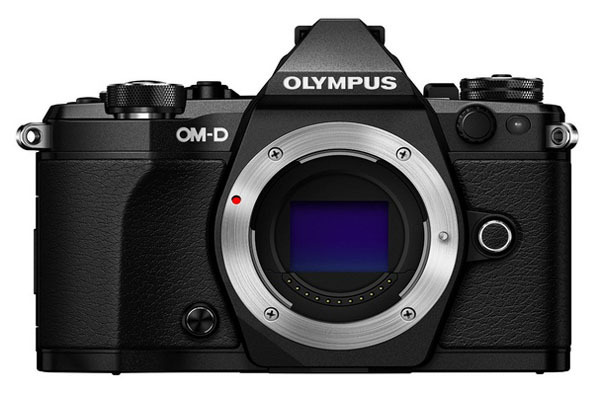 There are a number of solid mirrorless cameras for hitting the slopes, and another great choice is the Olympus OM-D E-M5 Mark II. This Micro Four Thirds camera follows the highly successful OM-D E-M5, with the new version boasting improved video performance, faster burst rates and shutter speeds, and the same awesome selection of Micro Four Thirds lenses to choose from. Perhaps most important for skiers and snowboarders, the E-M5 Mark II is weather sealed for protection from the elements, allowing you to worry less about the conditions and more about lining up the perfect shot. This gives it a leg up in performance over the Sony a6000 above, but the higher price is the reason we have it ranked lower. What we like: Superb still photographs. What we don’t: Fixed focal length lens and merely decent video. 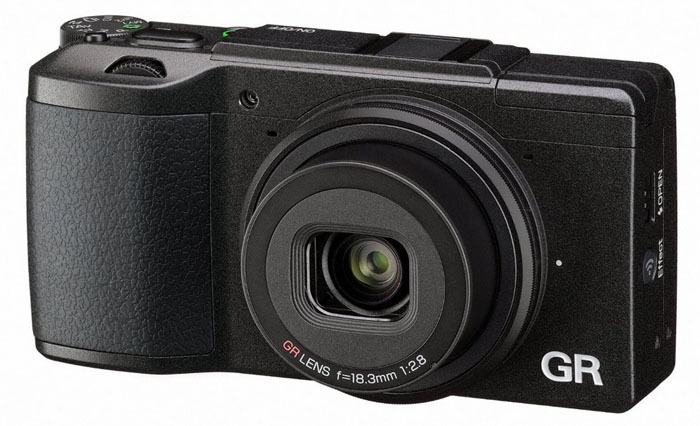 What we like: A great value for a high-end point-and-shoot. What we don’t: No electronic viewfinder. If you like the looks of the Sony RX100 IV above but want to save some dough, give the original Sony RX100 a serious look. 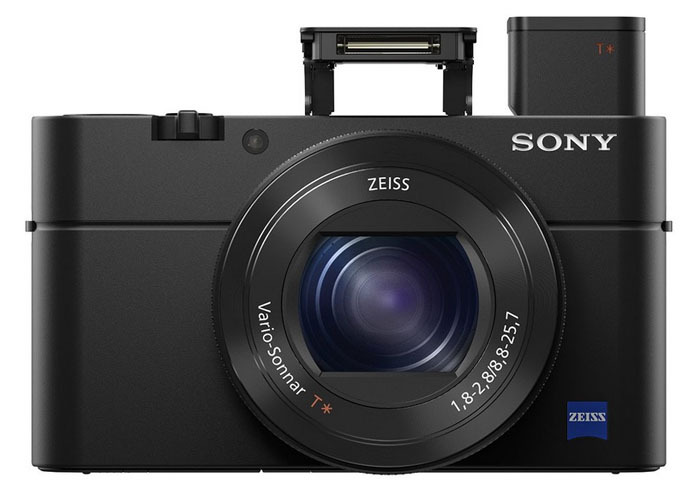 The most notable differences between the two versions are that the original RX100 does not shoot 4K video nor does it have an electronic viewfinder. Image quality, however, is nearly identical, including a large 20.1-megapixel sensor, a fast Carl Zeiss lens, manual settings, and RAW capability, all packaged in a lightweight and durable body. On the upside, the RX100 has a longer zoom range at 28-100mm than the IV at 24-70mm (the latter is slightly faster at the telephoto end). And the RX100 is considerably cheaper and therefore less of a liability should you damage it on the slopes. What we like: Good audio and selection of video speeds. What we don’t: You won’t find nearly as many mounts and compatible products as with GoPro. GoPro has a stranglehold on the action camera market with its easy-to-use functionality and sheer number of accessories and mounts, but Sony has been making some noise of late. We aren’t particularly impressed with Sony’s new FDR-X1000V 4K Action Cam, which shoots 4K video but has fewer resolution and speed options than GoPro, fewer compatible product mounts, and costs only about $50 less than the Hero4 Black. 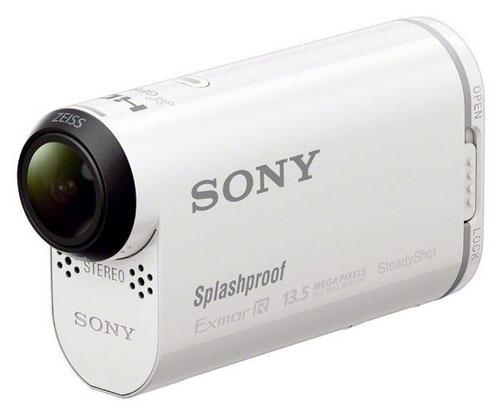 However, the Sony HDR-AS100V is a nice action camera on a budget: it costs only $200, has a number of 1080p video speed options, and quality audio for the price. The protective housing and its 16-foot waterproof depth isn’t nearly as impressive as GoPro at 131 feet, but it should be ample protection for skiing and snowboarding. If you’re just getting started with an action camera and don’t want to take the pricey GoPro plunge, the Sony HDR-AS100V is a nice value. What we like: Worry-free shooting in all conditions. What we don’t: Small image sensor for the price. 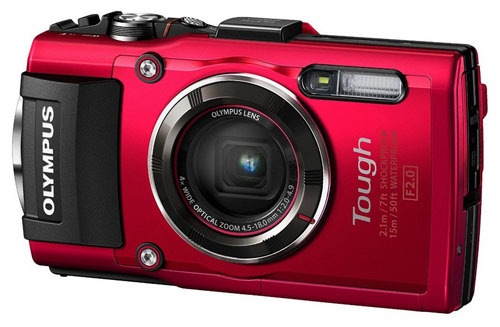 First and foremost, we don’t love “tough” or “rugged” cameras. The protective housing is helpful—the Olympus TG-4 is listed as being waterproof, dustproof, freezeproof and shockproof—but you end up paying a lot for the privilege with a relatively meager image sensor and lens for the price. However, skiing and snowboarding are two activities where tough can be justified. If you just don’t want to think about your camera and use it whenever or wherever you like, the TG-4 will take that worry out of the equation. Snow won’t affect the performance of the camera and it can even survive those big spills and drops without incident. We do like the fast f/2.0 zoom lens, which performs better than the competition in low light, and the TG-4 shoots decent 1080p video too. If you want a tough point-and-shoot camera for snow sports, this is our top pick. The biggest decision you’ll make when choosing a camera for snow sports is whether to go with an action camera or a more traditional digital camera. Action cameras specialize in video—point-of-view video in particular—and can be mounted to your helmet, skis, poles, snowboard, surfboard, or wherever else you like. GoPro dominates the market and competitors have failed to catch up despite numerous attempts. Actions cameras are terrific for video with a wide variety of resolutions from 4K to 720p and just about every shooting speed you can think of. However, they are not nearly as good as traditional digital cameras for still photography, which have larger image sensors, more megapixels, and better lenses. On the other hand, digital cameras shoot respectable video depending on the model but don’t have nearly as many bells and whistles in that department. Video has become a priority for camera manufacturers in recent years and some point-and-shoots now can shoot 4K. Most skiers and snowboarders have an idea of which camp they fall into and you’ll see both camera types represented on this list. There are fewer choices for the action camera category, because quite frankly, it’s hard to recommend models other than GoPro (our budget option, the Sony HDR-AS100V, is an exception). If you’re looking for a digital camera for skiing, there is a wider variety of options from point-and-shoots to professional mirrorless cameras that can go head-to-head with anything on the market. One nice upside of digital cameras is that they are great for photography and videography outside of skiing and snowboarding, whereas action cameras are more limited to adventure-type uses. No camera is actually “waterproof,” but action cams and rugged point-and-shoots have protective casings that do a darn good job of protecting them from moisture and dust. The waterproof housing on the GoPro Hero4 Black is waterproof down to 131 feet, and the rugged Olympus TG-4 is waterproof down to 50 feet. Both will perform extremely well in the snow and it would be a rarity to have moisture enter the camera and cause any damage. If you plan on exposing your camera when skiing or snowboarding for extended periods, or have your sights on other water-based activities like surfing or kayaking, a GoPro or rugged point-and-shoot is your safest choice. Some mid-range and high-end digital cameras are weather resistant, which means the joints and buttons are sealed with extra rubber to prevent water and dust from entering. We’ve seen professional photographers shooting with very expensive cameras in extremely tough conditions, but weather resistance certainly is many steps below waterproofing. More, there is no universal standard for what defines a weather resistant camera; manufacturers have varying processes and are mostly mum on the specifics. If you buy a weather resistant mirrorless camera or DSLR, take reasonable care when storing and using your camera. Weather resistance buys you added time in wet conditions, but water can and will enter the camera with prolonged exposure. The vast majority of non-action cameras below a $1,000 price point are not waterproof or weather sealed. This does not mean that you should avoid them for skiing and snowboarding, but you will want to avoid unnecessary contact with moisture. We recommend buying a basic case to protect against bumps and bruises, as well as an inexpensive dry sack for carrying the camera in your pack (in a pinch, a Ziplock bag will do). Water can get to your camera from both the outside and inside of the pack (moisture from water bottles damages cameras frequently), and keeping it inside a dry sack is the safe play. And don’t worry about shooting when the time comes—just avoid direct exposure to the elements as much as possible and know that there is some risk of damage in tough conditions. As with other outdoor pursuits, skiers and snowboarders have options from compacts to high-end cameras that can take up a significant portion of your pack. A small size and low carrying weight are desirable to stay light and fast, which is why we place a premium on compact size here. If a true pocket camera is what you’re after, you’ll need either an action camera or point-and-shoot. Mirrorless interchangeable-lens cameras are smaller than DSLRs but will not fit in your pocket and require at least a small carrying case and space in your pack. You also will have to take them out and put the lens on, which makes the shooting process longer. What you get in return is big-time image quality in a package that still is considerably smaller than a DSLR. A big selling point of action cameras like GoPros is the ability to be mounted for point-of-view footage. You can try to replicate mounting a point-and-shoot like the Sony RX100 IV, but that is a do-it-yourself job that we do not recommend. Accordingly, even though the video that comes from a point-and-shoot or mirrorless camera may be 4K or the same speed as an action camera, you will have a lot of trouble replicating that type of footage. Instead, it will be you shooting outward at another skier or snowboarder. If you plan on shooting mostly video and point-of-view in particular, go with an action camera. More, a common complaint among those who stray from GoPro to other action camera brands like Sony is that there are far fewer mounts available for those models. It’s fairly commonplace these days for a snow helmet to come with a GoPro mount (if they say “action camera”, they mean GoPro), and the sheer volume of kits the company offers is impressive. If you’re looking for a ski or snowboard camera and a pair of goggles, there is an interesting alternative to consider. Outdoor gear manufacturer Zeal released the $499 HD2 snow goggles last year, which include a tiny integrated wireless camera at the crest. The original version, the Base HD, was clunky and too large for our tastes. The HD2, however, has a lower profile and packs a good camera into a small package—although video quality still doesn’t stack up to traditional action cams. You can record all of your adventures on the mountain, both photos and videos, without announcing to the world that you’re wearing a GoPro. We like the sleek design, not to mention a more accurate rendition of your point-of-view that’s closer to eye level. And the HD2 transfers videos wirelessly, which entry-level action cameras cannot. All in all, the HD2 is a fun goggle and a fine choice for those who don’t already have a separate action cam.